The hottest fashion trends for 2014 have landed - the short story? We're all in for a trend treat. We've rounded up the must-try trends from the world's fashion capitals, to bring you a cohesive look at what you'll be wearing in 2014. From Paris and London to New York and Milan, the designers were set on one thing - creating some must-try fashion, from sumptuous metallic fabrics to ghetto girl glamour, the style stakes are higher than ever. Whether your own style is minimalistic or notice-me OTT, you can integrate each of these fashion trends into your look in your own unique way. 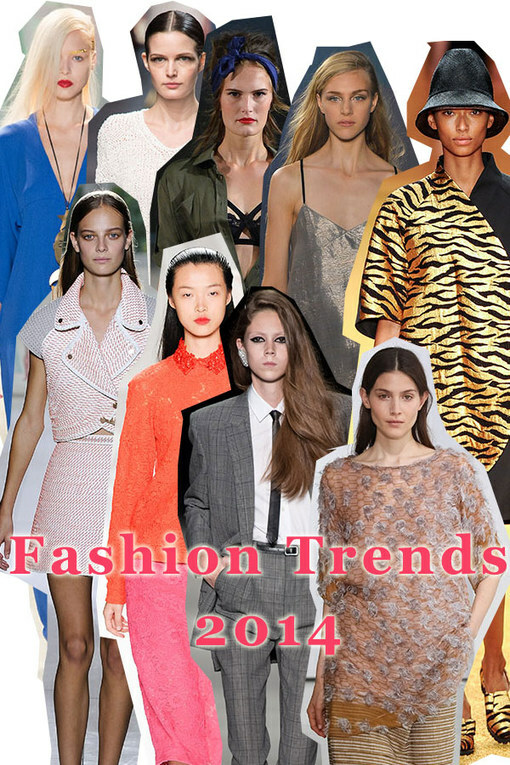 Your 2014 fashion trend shopping list? Invest in a chic collarless coat, some wide leg trousers and at least fifty shades of blue. Ready for your fashion education?